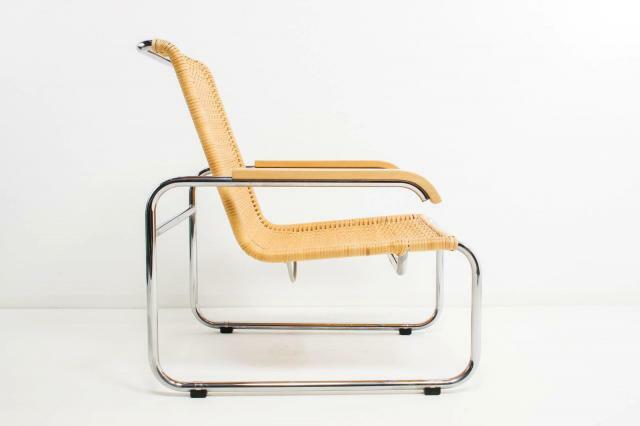 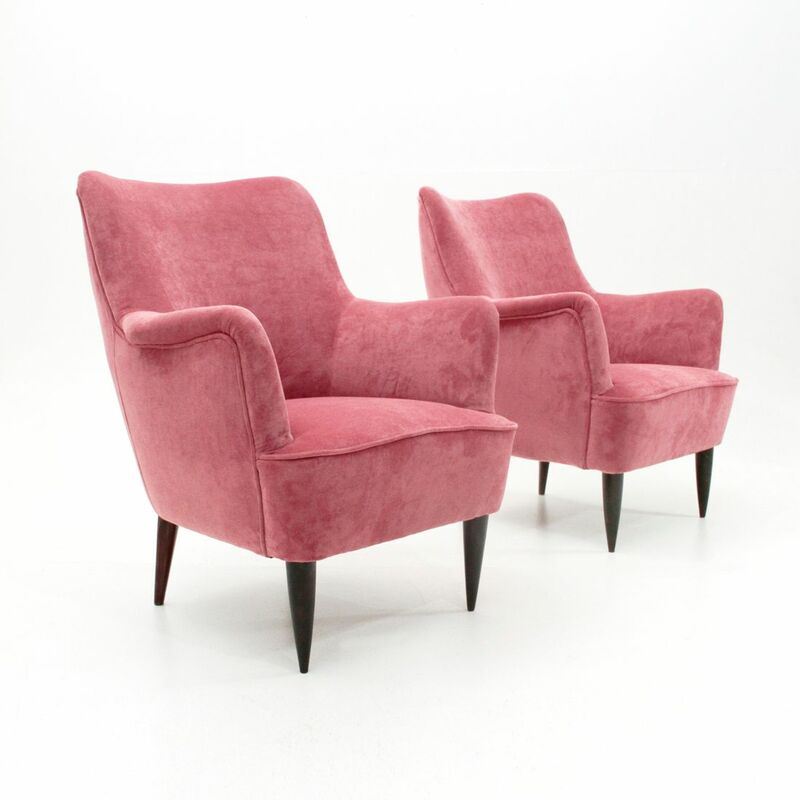 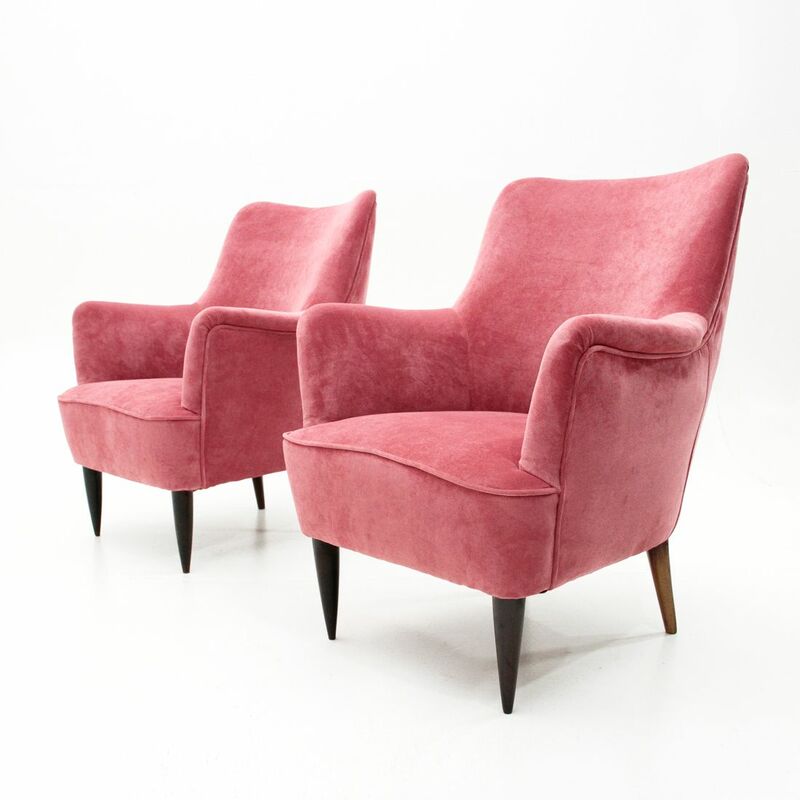 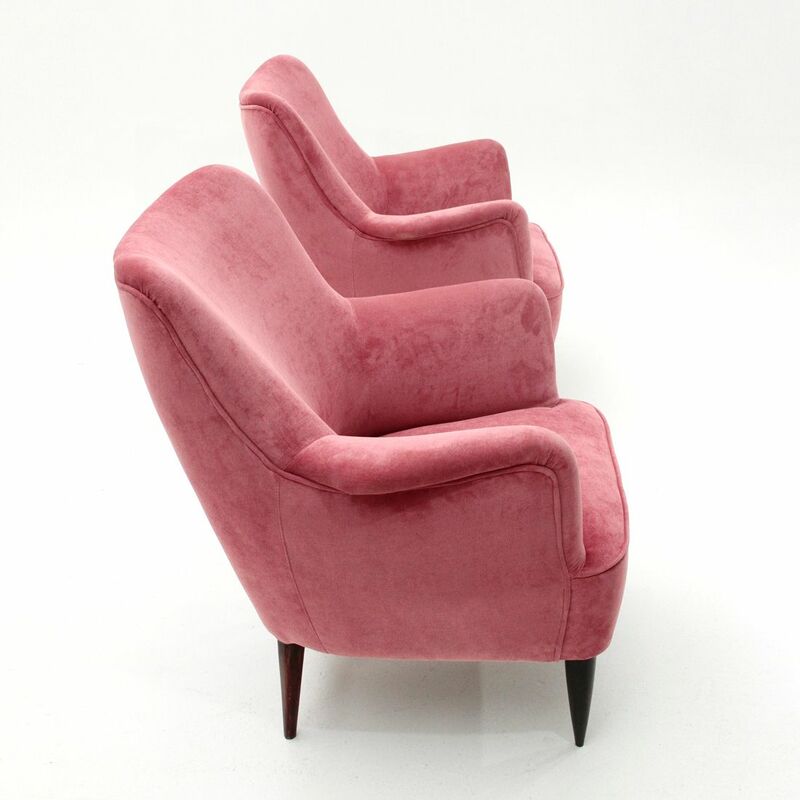 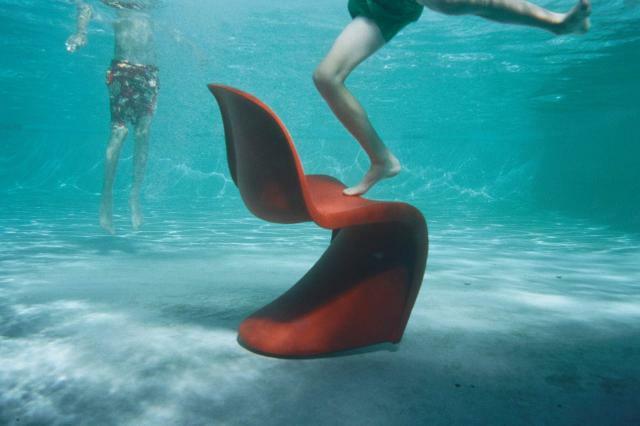 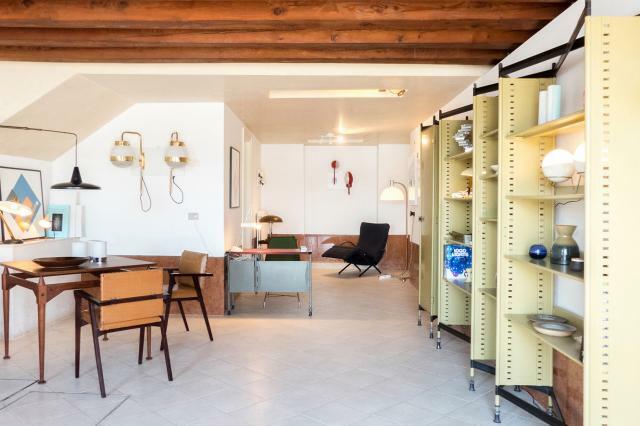 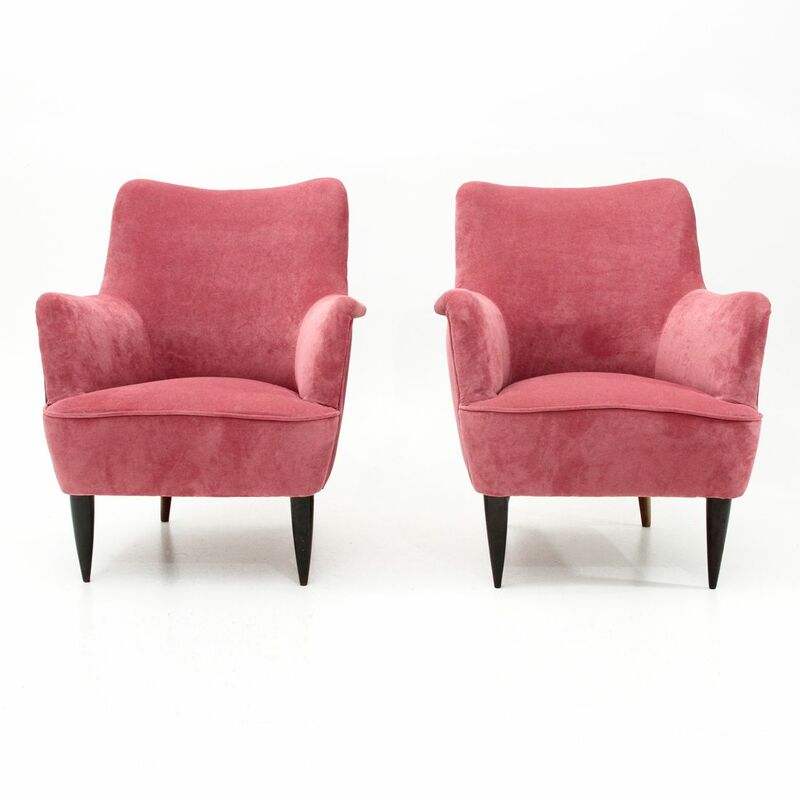 This is a pair of Italian manufactured armchairs produced in the 50s. 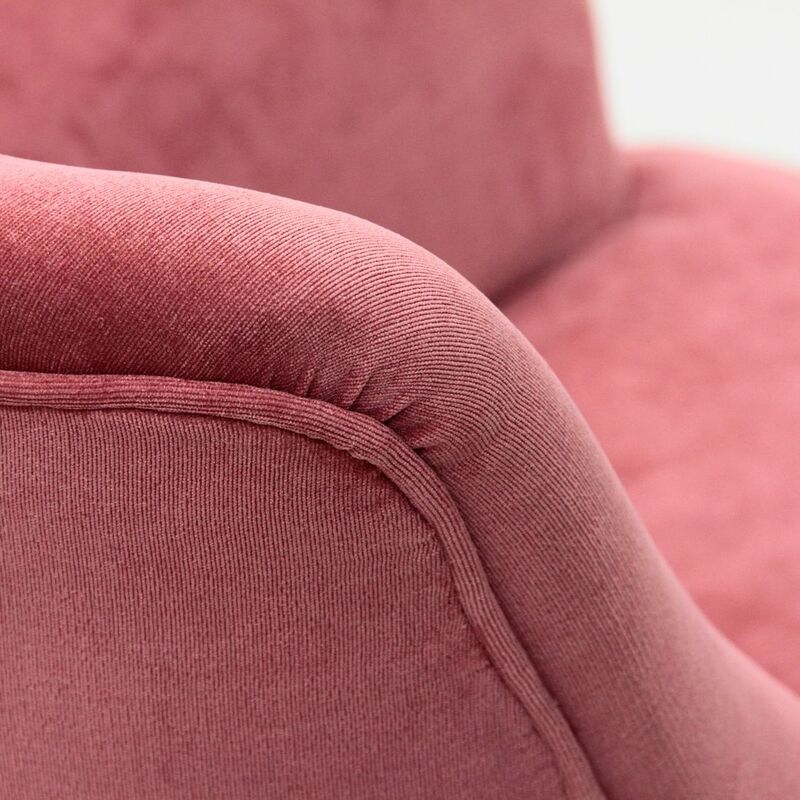 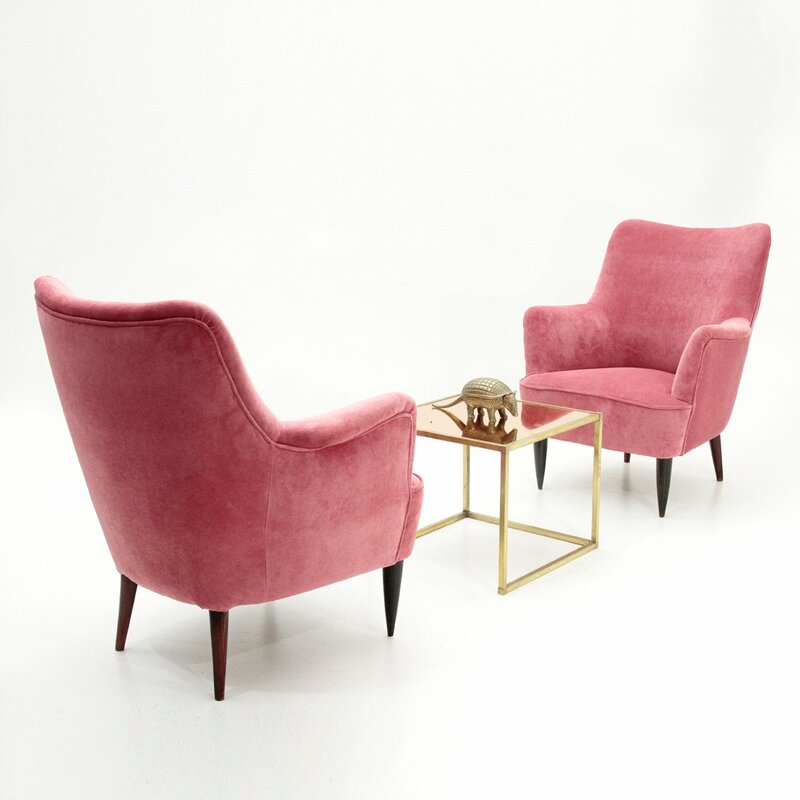 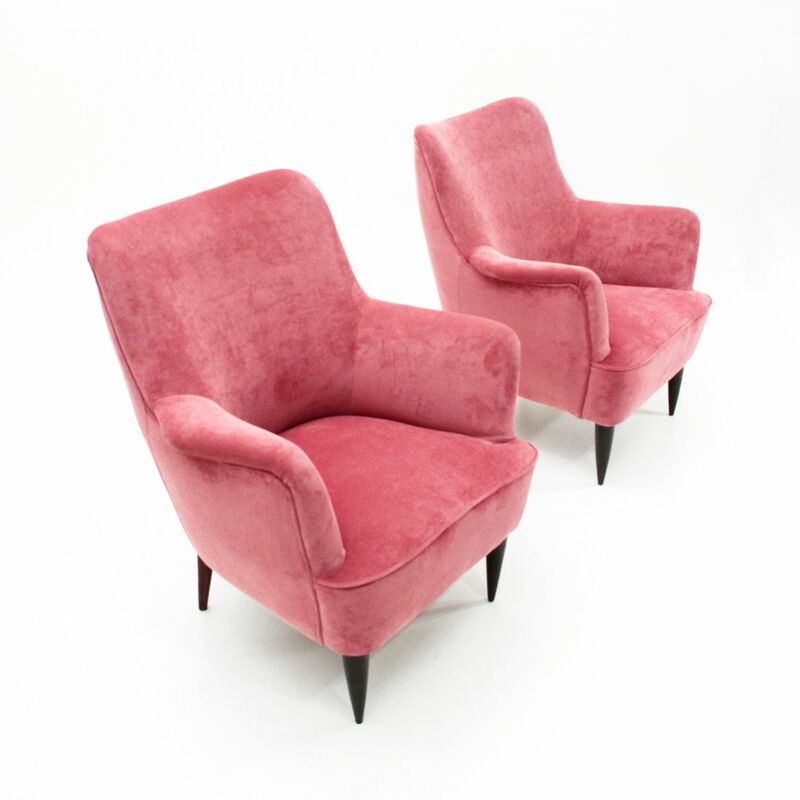 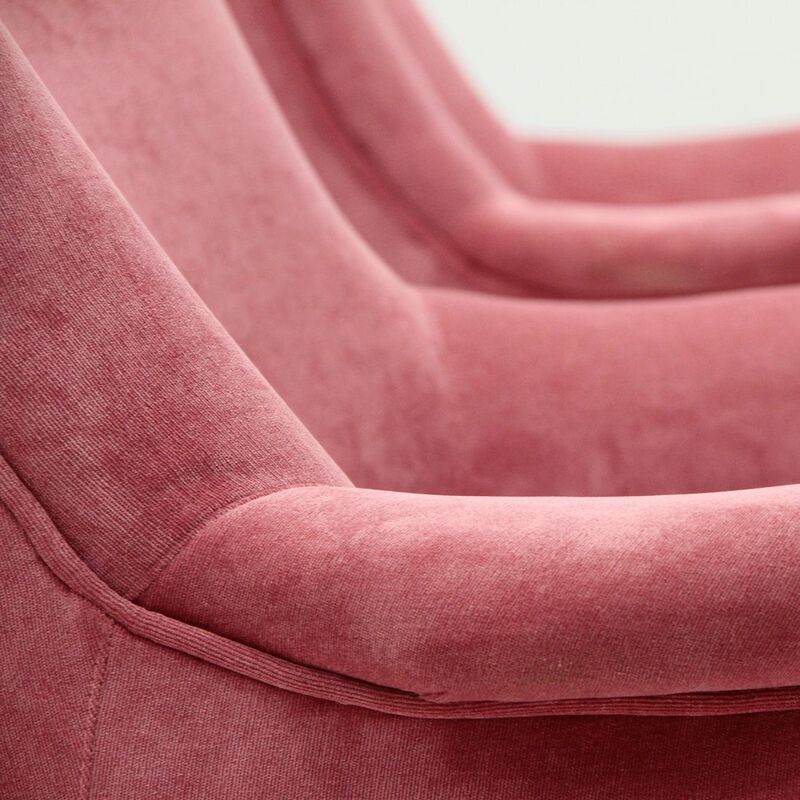 They have wooden structures padded and lined in new pink velvet fabric. 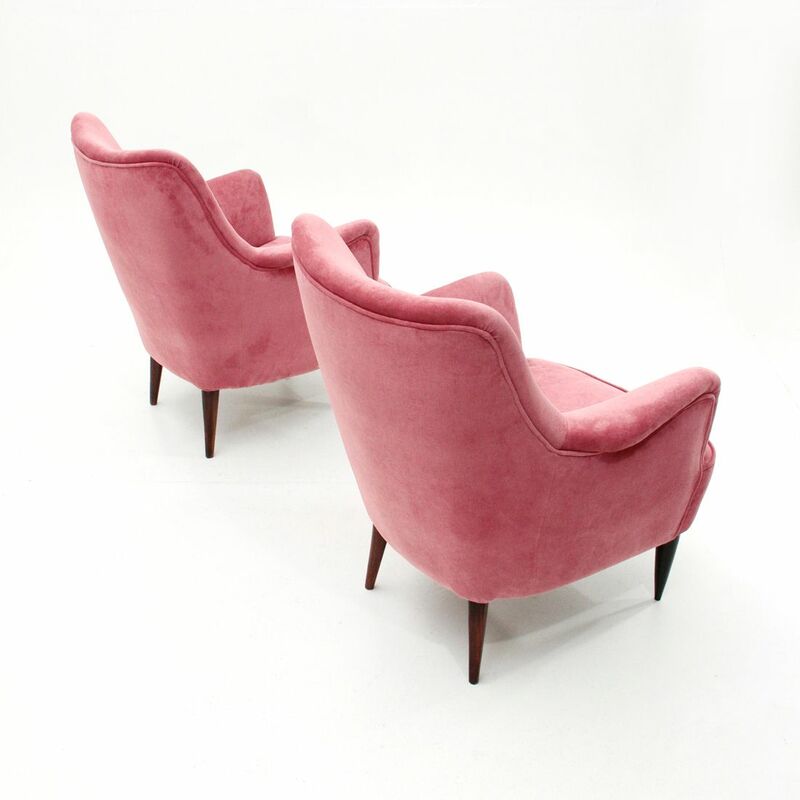 The legs are in tapered wood.